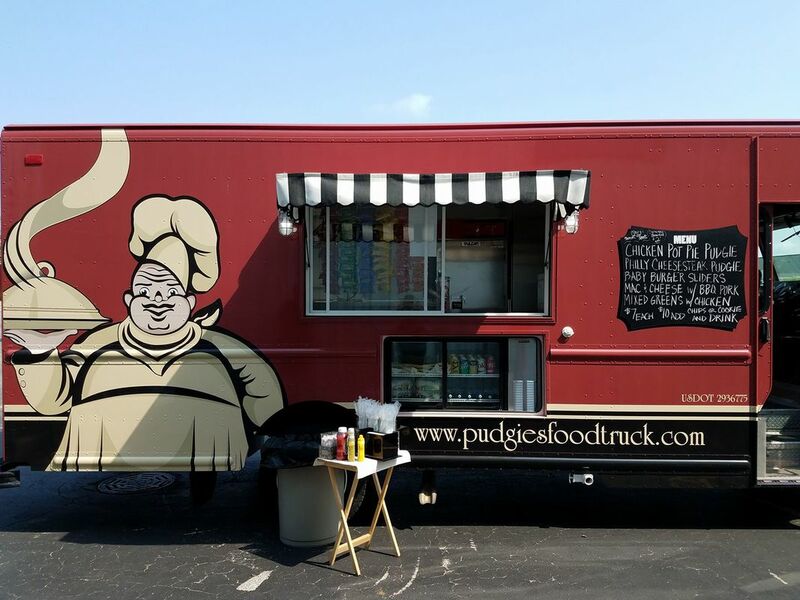 THANK YOU FOR YOUR INTEREST IN PUDGIES FOOD TRUCK & CATERING! SEE BELOW FOR OUR WEEKLY MENU, OPEN TO THE PUBLIC IN HARTFORD! THIS IS OUR LAST REGULAR WEDNESDAY OUTING IN HARTFORD FOR THE SEASON! THANK YOU FOR YOUR SUPPORT THIS YEAR! SEE YOU IN SPRING! Our food truck offers ‘curb side’ service to your business or special occasion. Our specialty menu item is our ‘Pudgies’ which start with a homemade pretzel dough, stuffed with sweet and savory ingredients, sprinkled with salt and baked to a golden brown perfection. They are a satisfying meal when paired with chips or a cookie and a drink. ​Our food truck menu changes seasonally and embraces all of the delicious ingredients that Wisconsin produces. We also offer homemade soups, salads, sliders and our scrumptious cookies.